Seoul denies that its warship deliberately locked on to a Japanese military aircraft. Japan has accused a South Korean navy destroyer of targeting a fire control radar system toward a Japanese military surveillance aircraft. Japan Defense Minister Takeshi Iwaya conveyed Tokyo’s strong protest on Friday after the incident. Iwaya, during a press conference, described the South Korean action as “extremely dangerous” and warned that it could “cause an unexpected situation. South Korea, for its part, did not acknowledge a specific radar lock on any Japanese aircraft, but noted that one of its destroyers was conducting radar operations. On Monday, Kenji Kanasugi, director general of the Asian and Oceanian Affairs Bureau of the Japanese Foreign Ministry, met with his South Korean counterpart in Seoul to discuss the incident. 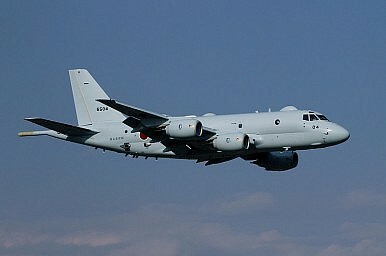 The Japanese aircraft involved in the incident, according to Iwaya, was a Maritime Self-Defense Force Kawasaki P-1 maritime patrol aircraft. The aircraft was conducting an unspecified surveillance mission in the Sea of Japan/East Sea during the incident, according to Japan. The incident took place while the P-1 was in airspace off the Noto Peninsula, on the northern side of Japan’s Honshu island. A radar lock, while not in itself damaging to targeted assets, is considered a sign of a heightened threat as it may precipitate the launch of a missile. The Japanese Maritime Self-Defense Force has been involved in surveillance activities recently to identify North Korean attempts to violate United Nations Security Council sanctions resolutions by conducting illicit ship-to-ship transfers of prohibited cargo, including coal and oil. South Korean media reports have suggested that destroyer that Japan alleges was involved in the radar incident was pursuing North Korean vessels. Japan and South Korea have limited trilateral coordination over North Korean activities with the United States. The three countries cooperate on ballistic missile defense activities as well. Tokyo and Seoul, while each allied with the United States bilaterally, have difficult bilateral relations over issues stemming from Imperial Japan’s early 20th century occupation of Korea and conduct during the Second World War. Japan additionally claims sovereignty over Dokdo, a group of small islands in the Sea of Japan/East Sea administered and controlled by South Korea. Tokyo canceled further consultations with Seoul over the December 20 incident between the two sides.